On Friday, July 17th, 2015 I went into complete acute respiratory failure due to a perfect storm of health issues coming all at once. I was a full time Police Officer with the New Market Police Department in New Market Virginia at the time. I was 51 and had been serving there for 9 years. I went “CODE BLUE” twice within 48 hours. I would be placed on life support, breathing with a respirator, have a tracheostomy surgery and spend 2 weeks in a coma. I was in the hospital over 5 weeks total with nearly 4 months of in home care. When I went “CODE BLUE” the first time, I immediately went through a tunnel. When I came out of the tunnel, I immediately heard the undeniable voice of the Lord. 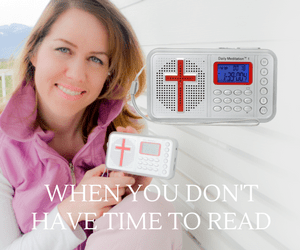 He said, “MY CHURCH, does not really believe I’m coming back SOON!”…..He repeated, “MY CHURCH does not really believe I’m coming back soon!”….Over and over again the Lord repeated this exact same thing to me, EACH TIME, with more passion and volume. It was then that the timber of the Lords voice changed, He spoke this.. I came back into my body and the Lord sustained my life. I spent 3 weeks in the Intensive Care Unit, then was transported to Progressive care for 7 days, then taken to the University of Virginia Transitional Care Facility in Charlottesville Virginia. Where I would receive 11 more days of care. My first night in UVA, I had a vision. I remember seeing this small egg shaped oval bright light. It begin to get bigger and bigger and bigger until finally I realized that I was in a large football stadium. 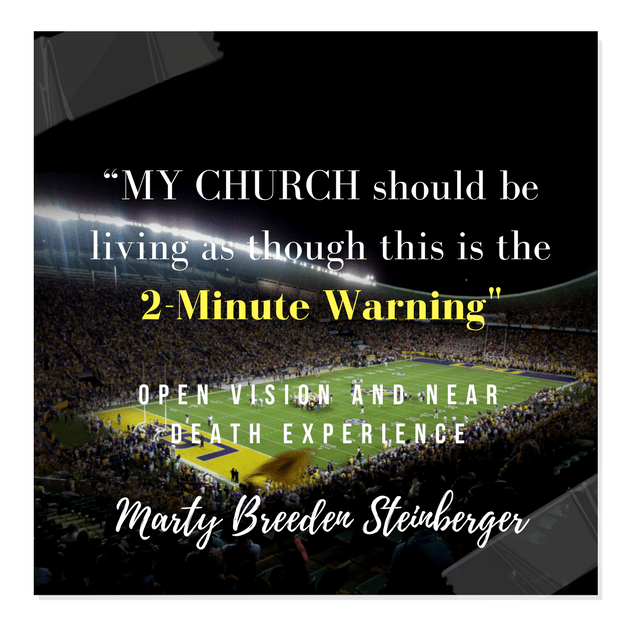 “MY CHURCH should be living as though this is the “2-Minute Warning”! Now I’m a huge football fan and God knew that /I would know EXACTLY what he meant by that. In that last 2 minutes, a football team does everything they can to insure victory. The make a mad dash to do all they can to secure the game. They gain yards, score points, keep the opposition from making gains or points, because both teams know that the end of the game is at hand and that the referee is about to blow the whistle and the game will be OVER! I told them that I certainly had not always lived it, but that yes, I was a follower of Jesus and a Christian. At this, the 2 women looked at each other and smiled. What they said next is almost beyond belief!!! They said, “Mr. Breeden, we had NO INTENTIONS of coming in and seeing you this morning, she and I were both on our way to see other patients. When we passed in the hall, going opposite directions, when we both got in front of your door, the NUMBER 2 appeared in the spirit and we saw it on your door. She said, “Lord what does this number 2 mean?”…..the Lord said, “Go in and ask that man if he knows what the NUMBER 2 means AND HE’LL KNOW EXACTLY what you’re talking about!”……She then said, “What does that mean?’ Keep in mind we had NEVER met and she had no idea about anything. I told her of my vision AND THAT THE Lord was coming SOON! As time passed and I was released from the hospital and allowed to go back into Law Enforcement, it happened just as the Lord had warned. In the first year, I probably told over 50 pastors and men of God about the visions and it was NOT received , not even by my own church of 20 years, or my own pastor. Only one disabled pastor in a small backwoods country Bible Mission asked me to come and share and I did. I’m still a full time Deputy Sheriff but I now faithfully share this message where doors open. I warn the church and call sinners to repentance. In sharing this message the last few months, I’ve seen hundreds come to the Lord and get soundly saved and backsliders repent and rededicate their lives to Christ!